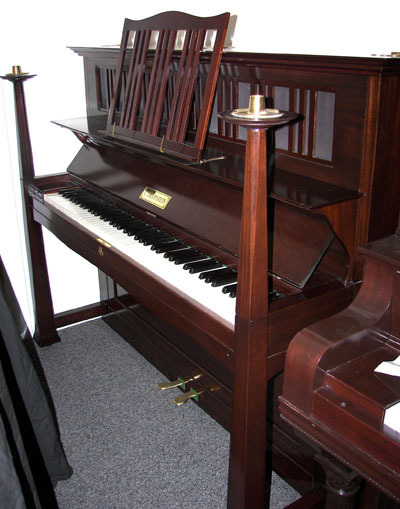 A rare Arts and Crafts style Upright manufactured by the superb Bechstein company. Designed by famous English Arts and Crafts artist Walter Cave. This piano design was exhibited at the 1893 Arts and Crafts Exhibition in London. A discussion of this piano can be found in the G.S. Gadd's book The British Art Piano and Piano Design: Vol. 1, p. 89.